When Virgil van Dijk joined Liverpool for £75million in January, the banter sites didn't have to look too hard to collate comments from Manchester United fans mocking the purchase. The context was Jurgen Klopp's incredulous view of United's world record £89m move for Paul Pogba 18 months previously. "The day that this is football, I'm not in a job anymore," was Klopp's put down. It was thrown back in his face when he paid a world record fee for a defender to recruit Van Dijk from Southampton. And, when he dipped into the goalkeeping market to splash out £62m on Alisson in the summer, the German admitted his view had altered. Certainly, the perception of his move for Van Dijk has changed within eight months and it has now rebounded on United. In the aftermath of the Dutchman's dominant display in Monday's victory at Crystal Palace, a story emerged stating that the Old Trafford club had made a last-ditch attempt to hijack Liverpool's January deal. It's a tale that could be spun both ways. With Mourinho crying out for a centre-half, it shows that United were aware of the ability of a player who has arguably emerged as the outstanding player in that position in the Premier League. But they left it too late and, ultimately, if the Portuguese had truly identified Van Dijk as the player to solve his defensive woes then he would have instructed the board to make an earlier move. After all, Van Dijk was already at Southampton when Mourinho (right, below) was appointed as Manchester United manager in the summer of 2016. At that juncture, he made the £30m move to bring in Eric Bailly from Villarreal. A year later, he paid out another transfer fee in that region to add Victor Lindelof to his centre-half options. That was the summer where Liverpool made their first play for Van Dijk (right, above) with £60m the fee that was mooted before Southampton called foul on the manner of the approach and the deal was pushed back by six months by which point natural inflation had kicked in. There was no suggestion that United were on the premises at that point; no suggestion that they had earmarked the ex-Celtic man as the defensive leader that could give them a real commanding presence in the heart of their back four. In that context, the second weekend of Premier League action made for unhappy viewing. Bailly and Lindelof toiled at Brighton, where they were given the run-around by veteran attacker Glenn Murray. The second Brighton goal came from a corner kick that involved several phases before Shane Duffy applied the final touch. 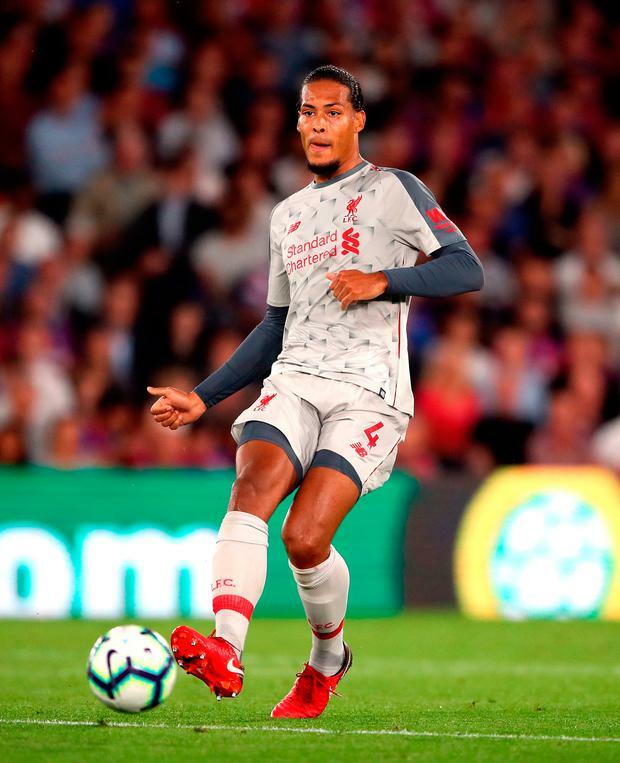 By contrast, Liverpool were able to turn to Van Dijk when they encountered turbulent spells against a decent Crystal Palace side. In the final 15 minutes, he made three valuable defensive interceptions that proved to be key to the outcome. There was a big defensive header in the 74th minute that set the wheels in motion for a Mo Salah counter and the professional foul which led to a red card for Aaron Wan-Bissaka. As Palace pushed for an equaliser in time added on, Van Dijk rose highest to send a dangerous set-piece from the hosts behind for a corner. When that ball was sent into the box, he muscled opponents out of the way to steer the ball to safety and start the move for Sadio Mane's insurance strike. The man of the match award was a formality and, for Klopp, it was further vindication of the expensive search for the missing piece of a jigsaw puzzle. It's still a staggering amount of money to spend on a player who showed in the run to the Champions League final that he was far from the finished article. But with his age profile, £75m now begins to look like a reasonable enough move in an era of bloated prices. If Liverpool go on to get five years' service out of Van Dijk then £15m per year for a central defensive linchpin - admittedly with wages on top - is a fair enough price to play when he is influencing games to that degree. The finer details of the money don't matter too much to clubs in that bracket. They pay whatever it takes to make the deal work. Essentially, the premium is worth it if the player is up to the challenge. United's trust in Mourinho is clearly shaken but chances are they will have to pay much more to plug that gap regardless of who they trust with the money. They could have afforded Van Dijk comfortably and must now ask themselves where the blame lies. Granted, the equation is the same for them when it comes to the cost - they have the funds there if they really need it. But the issue is that there's a shortage of ready-made players around who can definitely improve them in that department. By failing to identify Van Dijk's credentials before it was too late, they have let an opportunity slip. Of course, there's no guarantee he would have made the same impact at United. It's still the manager's job to create the environment that brings the best out of their recruits. After all, you don't hear too much quibbling about the fee that United paid for Pogba now. At the World Cup he lived up to the price tag. 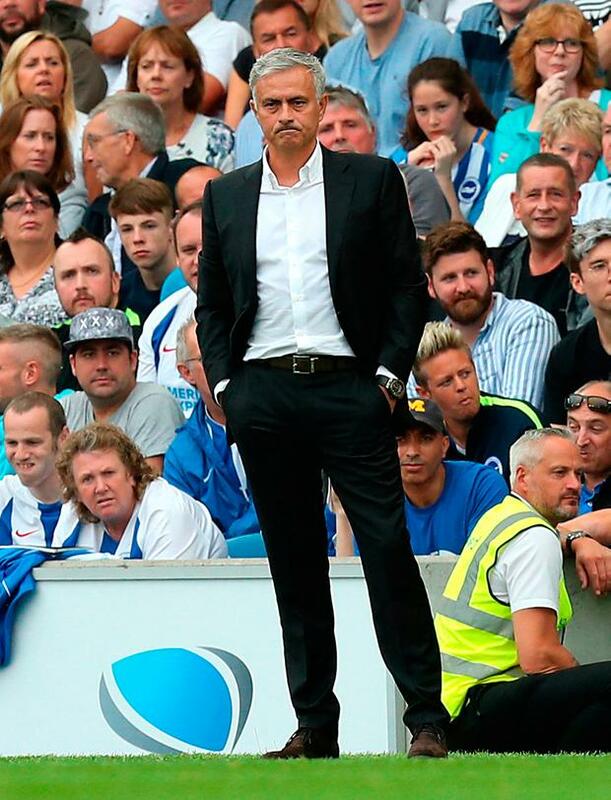 Instead, the issue is Mourinho's inability to bring the best out of him.